We're proud to be affiliated with the following organisations. through our videos to help mobilise BIM adoption around the world. Please join and help spread the BIM word around the world! The Construction Industry Council (CIC) is the representative forum for the professional bodies, research organisations and specialist trade/business associations in the construction industry. 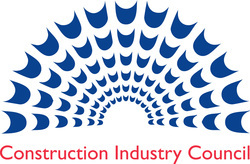 Established in 1988 with just five founder members, the CIC now occupies a key role within the UK construction industry providing a single voice for professionals in all sectors of the built environment through its collective membership of 500,000 individual professionals and more than 25,000 firms of construction consultants. The BIM Task Group brings together expertise from industry, government, public sector, institutes and academia. We raise awareness of the BIM programme and requirements and ensure that a consistent message is delivered to the supply chain, share best practice and allow a feedback route back to the Task Group.